Rice Dentistry is a practice apart from other dentistry practices. Everything in our practice reflects the dedication of cosmetic dentist Dr. Scott L. Rice to his profession and his patients. As well as training on some of the other skills that make an excellent dentist, such as digital photography training, case planning, and patient communication. It is partly his dedication to patient communication and education that sets Dr. Rice apart. He makes sure you understand your treatment options and the benefits each option offers so you can make an informed decision about which procedure is right for you. Dr. Rice was the first dentist in Orange County to be given the title Mentor at the Kois Center. He has been selected as one of America’s Top Dentists by the Consumer Research Council of America and has been selected by other dentists to be included in Coast Magazine’s “Top Dentists” for several years in a row. 2 year commitment, monthly Prosthodontic training and study at Rieder Facility. Cosmetic dentist, Dr. Taylor Rice, an Irvine native, proudly graduated from the University Of The Pacific School of Dentistry in San Francisco, one of the top dental schools in the country. Despite the fact that UOP has an extremely rigorous three-year program he chose UOP because of its emphasis on excellence and its highly acclaimed program in dentistry. In the field of dentistry, it is required that every dentist complete 20 hours of Continued Education every two years, however, Dr. Taylor Rice has completed over 500 hours of Continued Education, including advanced coursework at the prestigious Kois Center. This training, along with a rigorous written examination, qualified him to join a select group of dentists worldwide by earning his Fellowship in the esteemed Academy of General Dentistry. His commitment to excel in his field by continuing his education is one of the many reasons patients trust him. His successful treatment of orthodontic and cosmetic cases caused members of the Crown Council, a prestigious alliance of leading-edge dentists around the world, to nominate Dr. Taylor Rice for “Young Dentist of the Year” The Crown Council membership is recognized in the dental profession as dentists who are strongly committed to promoting oral health, fighting oral cancer, and serving their communities through charitable work. Membership is by invitation only. 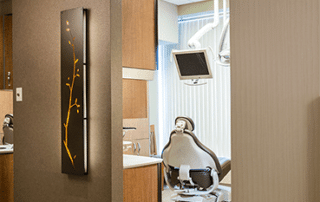 These industry leaders in health, wellness, and prevention offer the latest dental procedures in state-of-the-art facilities. This exceptional recognition for Dr. Taylor Rice was an acknowledgment of his talent, skills and knowledge in the field of dentistry. In addition to the Crown Council honor, Dr. Taylor Rice was also awarded a gift of a small group education experience with Dr. David Hornbrook, a recognized leader in the field of dentistry. Dr. Rice trained under Dr. Hornbrook over multiple hands-on courses and participated in creating dental smile makeovers for individuals that are unable to afford proper dental care. Dr. Rice chose a patient who may not have been able to afford the dental treatment that was needed. In so doing, he continues the legacy of the Crown Council ideals. In September of 2015, Dr. Rice and his wife, Amy, traveled down to the Dominican Republic on a dental service humanitarian trip with the Crown Council charity called Smiles for Hope. Each day they set up their mobile clinic in remote villages, sometimes outside under a tarp, and saw patients from morning until night. They were able to serve individuals who have never received dental care in any capacity throughout their life. This was an incredibly humbling experience that really helped to bring into focus the reason Dr. Rice chose dentistry as a profession, which is to help others in a capacity they could otherwise not perform themselves. Dr. Taylor Rice lives in Irvine. He enjoys spending time with his wife Amy and three daughters, Daphne, Bridget and Molly. Dr. Nicolas Ravon practices as a periodontal specialist at Rice Dentistry. Dr. Ravon has received dental degrees from both European and American institutions, with a Licentiate in Dental Surgery from the Free University of Brussels and a Doctorate of Dental Science from the University of Southern California. He then received his specialist certification in periodontology and his Master of Science in Dentistry from the University of Washington. 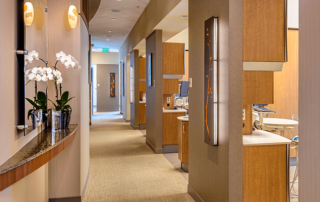 Dr. Rice and Dr. Ravon first met at the Kois Center in Seattle, where they have both attained the rank of Mentor and teach other dentists about advanced concepts and procedures in dentistry. 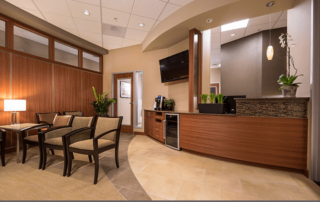 When they discovered that they shared a passion for quality dentistry and were virtually neighbors (Dr. Ravon has his own practice in Beverly Hills), they decided to form an alliance. 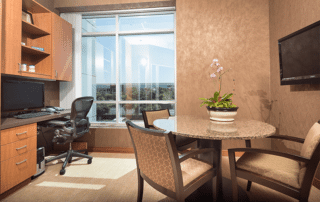 View pictures of our wonderful office, or start a virtual tour below! 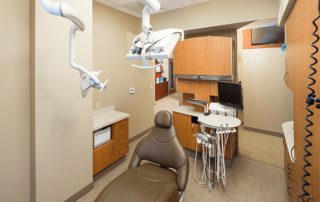 At Rice Dentistry, our facilities are designed to make you feel comfortable and at ease, while giving our dentist the tools he needs to perform his procedures at the state-of-the-art. When you enter our office, you will immediately appreciate the attention to detail: flowers, potted plants, furniture, and décor are all selected to help you feel welcome and comfortable. One of our team members will welcome you to the office and help you get taken care of. 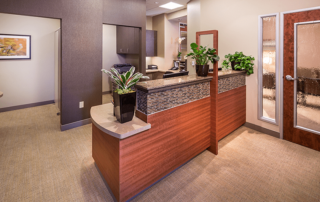 You’ll have to show up early to enjoy all the details of the waiting room, however, as we try to keep to our schedule and make sure your appointments are on time—your schedule is important to us. Our dental hygienists know how to treat you right. That means not only gentle treatment, but also a thorough treatment, including complete cleaning and an oral cancer screening. 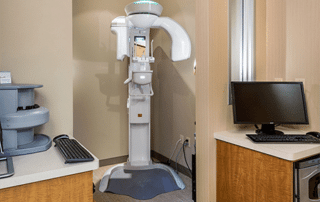 In the treatment rooms, we utilize digital technology to get precise images of your teeth, gums, and jaw that we can share with you. This will help you understand your treatment needs and options so you can help us make the right decisions about your dental care. 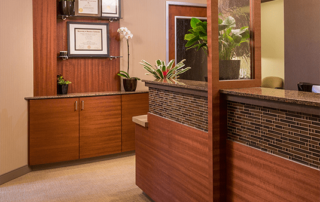 To learn more about Rice Dentistry and our Irvine dentists, Dr. Scott L. Rice, Dr. Taylor Rice, and Dr. Nicolas Ravon, please call (949) 551-5902 or contact us today and schedule an appointment at our Irvine office.